A beach lifestyle brand that, "channels a rock muse on a beach holiday.” Amuse Society is the creative vision of industry leaders, Mandy Fry and Summer Rapp, who are bringing to life a new young contemporary beach lifestyle brand. Described as a beautiful contradiction of beach and street and bohemian and rock and roll, their free spirited confidence and entrepreneurial spirit is what ultimately inspired them to launch their first brand together in November 2014. A&C jewellery is a Norwegian brand. The jewellery is designed in Norway, and inspiration for the collections are found there. A&C jewellery is for the fashion conscious, unpretentious modern woman. The most important thing for her is to feel relaxed and look effortlessly elegant in life. Established in 2003, Citizens of Humanity has captivated the fashion world with a rigorous commitment to cutting edge denim styling, comfort and fit without compromise. Citizens of Humanity is the ultimate expression and realization of what a denim company can be. It is fueled by knowledge, creativity and a love for denim; an enduring symbol of the American landscape which has captured the imagination of the world. Free People evolved into a more mature, contemporary brand. This allowed twenty-something women to appreciate the line of clothing that catered to their intelligence, creativity and individuality, while keeping with its great quality and affordability. And that's just who they wanted to reach: a 26-year-old girl, smart, creative, confident and comfortable in all aspects of her being, free and adventurous, sweet to tough to tomboy to romantic. A girl who likes to keep busy and push life to its limits, with traveling and hanging out and everything in between. They offer countless options within the collection, so that when you and your best pal go shopping, you won't come out looking at all alike. Gentle Fawn is a brand that is impossible not to fall in love with. They provide customers with fashion that is distinctive, effortless, and current through their strength of design and graphics. With high-quality fabrics and construction, each collection reflects a strong sense of fashion and never neglects the charming nature that sets Gentle Fawn apart from the rest. Born out of a personal need for good stuff.. Harlow is simple, whole ingredient, self-care for body and home. Connecting you to your rituals through conscious alternatives. They believe our skin ceremony should be a therapeutic ritual leaving you intoxicatingly soft, smooth, smelling of enchanting botanicals and deep wilds, lifting and invigorating your spirit while calming or energizing your mind. Made in Vancouver Canada by normal, funny, down to earth people. Each piece is hand-made and unique, adding to the overall distinctiveness. Inspiration comes from both Aboriginal and Bohemain cultures, nature, and raw materials. Materials used include: gold, white gold & silver plate, brass & vintage brass charms, semi-precious stones, and a touch of love. Genevieve Smolders, the creative drive behind Hen + Bear Jewelry, majored in Fashion Communications at Ryerson University in Toronto Canada. She prides her line in being purely handmade. Kara Yoo Jewelry began in 2012 with the mission to create versatile and thoughtfully crafted pieces for women of all ages. All designs are conceptualized by Kara and hand-crafted in-house, in the beautiful city of Vancouver, Canada. Kara Yoo Jewelry is made to last, using quality materials such as tarnish-resistant Argentium Sterling Silver, Gold-Fill and solid Gold. Drawing inspiration from fashion, architecture and nature, Kara's pieces focus on crafting an experience that strives to redefine the everyday classic. Based out of Los Angeles, Kitsch creates the best hair ties on the market. Coming in an assortment of eccentric prints and colours - a hair tie to fit anyone's personality. They also create gold plated and sterling silver plated jewelry perfect for gifts or any girl obsessed with travel and adventure. 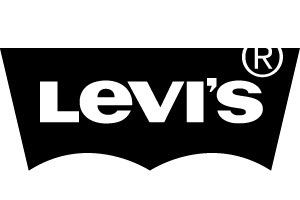 Levi's is driven by strong values, creativity and hard work. Using innovative, sustainable and progressive practices isn't just how they make their jeans and other products - it's a principal they value in all of their work. With affordable price points and amazing fit - you can't go wrong with a pair of Levi's. Australian label Minkpink channels street style and vintage design into its laid-back pieces and bohemian, flirty-cool aesthetic. Look to its relaxed, Antipodean style for slouchy knits and floor-skimming maxi skirts. OBEY Clothing was formed in 2001. The clothing is heavily inspired by classic military design, work wear basics, as well as the elements and cultural movements. OBEY is about variety and experience, thinking about your surroundings and questioning the purpose. A laid-back, and edgy brand with a skater influenced style. Rails creates a unique intersection in fashion by blending the casual comfort of southern California living with a skeek sophistication. Relaxed by always refined, the collection draws on influences from international travel to metropolitan living. Rails is dedicated to the quality of the garment, by creating a perfect combination of comfort and tailoring. Inspired by surf and skate, RVCA is the ultimate lifestyle brand at amazing price points. The collection is full of signature tees that will never go out of style as well as flowing skater dresses and denim pieces. Capturing the Los Angeles lifestyle, Sanctuary's unique design is a modern take on vintage styling with a handcrafted focus on detail. The Sanctuary woman is comfortable strolling the streets of New York or the sandy beaches of Southern California. Her bi-coastal eclectic style spans from work to weekend, day to night. It began in 1997 as an aspiration to create fashion forward tee shirts that embodied the laid-back luxe of LA style. Today it has evolved into full collections recognized for their meticulously crafted, clean elevated staples. Helmed by Creative Directors Jenny Graham & Toni Spencer, the collections are created using only the finest fabrics and are manufactured primarily in the United States.